For those interested in sleight of hand with coins, one of my favourite tricks with coins was recently published in an eBook edited by John McLachlan. When I say favourite, I mean favourite! This is probably the the piece I currently perform more often than any other when I'm doing close up magic. 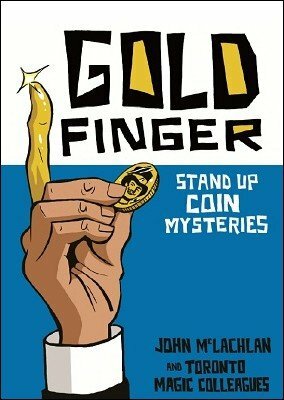 Goldfinger: Stand Up Coin Mysteries features contributions from magicians from the Toronto area including Luiz Castro, Ariel Frailich, John McLachlan, Mysterion the Mindreader, David Peck and Phil Pivnick. The focus of the book is coin magic that can be done without the work of a table. If you're taking time off before the new year and want something to read and some material to practice, check it out. 118 Pages, PDF, $25 - available from Lybrary.com.